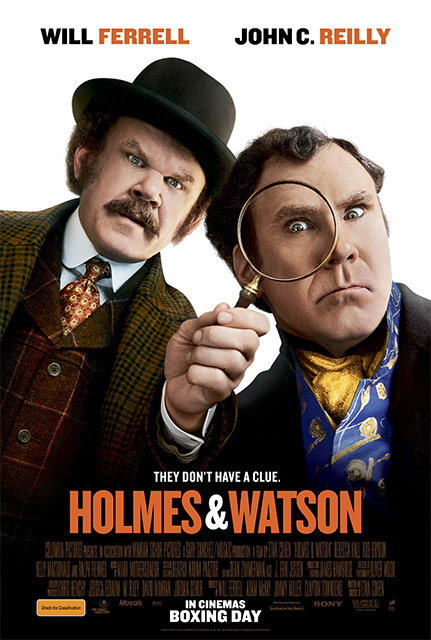 Thanks to Sony Pictures here is your chance to Win one of 20 x Holmes & Watson Tickets starring Will Ferrell and John C. Reilly. The Step Brothers are reunited – this time playing the world's greatest consulting detective and his loyal biographer – as Will Ferrell and John C. Reilly star as Holmes & Watson. ©2018 Columbia TriStar Marketing Group, Inc. All Rights Reserved.